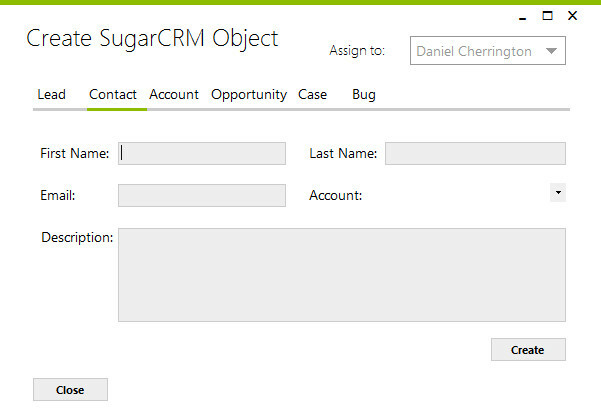 Opacus Outlook Plugin SugarCRM, Inc. 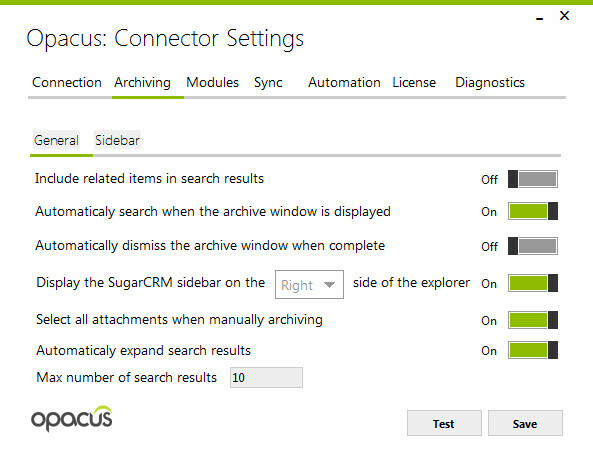 The Opacus Outlook plug-in integrates your Outlook email client with SugarCRM. 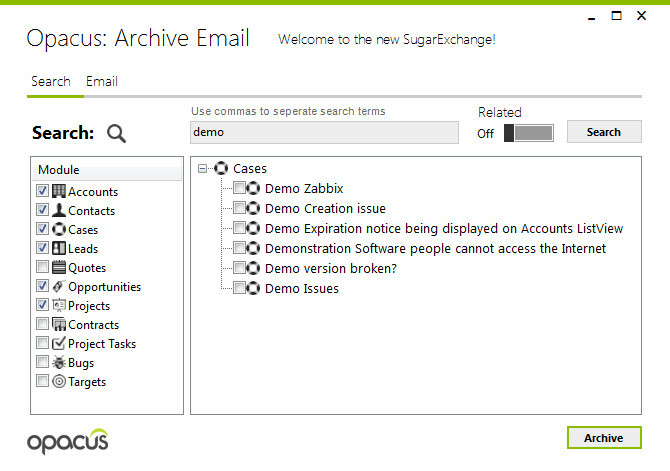 Automatically archive emails, synchronize calendars and contacts and quickly create new records.